When you suffer from Trigeminal Neuralgia, there are so many dark and lonely days. It is difficult for family and friends to understand what you are going through. If you are feeling down, in pain, or just generally annoyed with this condition, please reach out! There are many fantastic support groups on Facebook, and I have discovered that if you join groups around the world, there will always be someone awake to listen. I can always be contacted too. When I find myself in a dark and painful place, I always reach out. There is no need to suffer alone. Everyone with Trigeminal Neuralgia, and other facial pain conditions understand what it is like. If you want some fantastic links, contact me via email. I just wanted to thank you for sharing! I have been battling TN ànd Atypical TN for 8 years!! If anyone had told me I could have survived this long I never would believe it! I found your blog today and so surprised how simi!are we sound. It took me over 20 doctors to eve. Get a diagnosis. I truly thought I was going crazy until then. But Dr said. Good news is you're not crazy! Bad news is it's incurable and known as The Suicide Disease!! He took it very serious and quickly sent me to one of best pain management doctors in the state. He too told me it would be very hard to treat and after a year he told me I was their most difficult patient! He sent me to a few neurologist who were terrible with no compassion! So I stuck with him and trying different counselors because I was beyond depression and anxiety attacks. My pain management Dr has kept me alive! It was months of trial and error medications to find right combination. He even tried acupuncture on me but it didn't help. I also wasted thousands on chiropractic treatment and it made me have severe attacks in middle of night or next day. I couldn't take tegratol as it made me drunk!!! So I take high dose of Gabapentin, diazapam, cymbalta, and morpnine¡ ! I resisted morphine for q long time! But when I ended up in the hospital they put me on morphine IV and pain left!!! So now I take in pill form but it doesn't work as well. After fighting this demon for two years I had the MVD surgery which was a NIGHTMARE !! I didn't think pain could ever be worse but no pain med would touch drilling and cutting open whole head! I was not one of the lucky ones that got cured!! It took over a year to recover and the extreme electric. Shocks lessened but now I have Constant pain every single day with no breaks. My husband left me during this journey. And I'm glad you shared about losing friends! I have lost most of mine! They got tired of canceled plans and can't comprehend any pain so bad they can't cure and that it can really be that bad!!! It's another part of the nightmare!! You are living worst pain and your own friends leave you!! I did go through a year I didn't appreciate enough where I had lots of good days and they called remission. But it came back with a vengeance!! I met with top neurosurgeon about having cyberknife surgery. He told me it would not work enough for all the risk and not much success for Atypical! He told me my limited choices and insurance a d he made me see a pain psychologist to be sure I could cope if it didn't work! So he put in peripheral nerve stimulator in my face and neck with battery life n my chest. Not a bad procedure. It helps some. Or maybe I just hope it does! That was 10 months ago and I still can't walk à block! This past month I have been fighting serious depression! Some days it scares me that I can't do it anymore. Only our TN friends get how unbearable our live are! I've been working on starting my own blog. Journaling has been my escape. Just as yours encouraged me today I want to find some meaning in all this! I pray for strength for us All to win this fight!! Hope you have a blessed day! 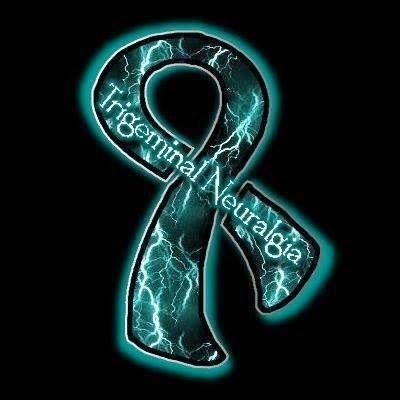 I have Atypical Trigeminal Neuralgia for the last 5 years. My pain is the right side.I saw 6 dentists the first two years and they gave me wrong treatments with 4 root canals, a tooth extration, and an implant that had to be removed later. After 2 years I was diagnosed by a professor in LSU dental school with Trigeminal Nerve Neuralgia. He put me on anti-seizure drugs, and it didn't work. Since then I have seen 19 doctors. Different anti-seizure drugs almost killed me. I was so short of breath and so weak that I couldn't walk too. A pulmony doctor from Ochsner took the time and had the compassion to find out that the anti-seizure drugs were causing me to be so weak that I was so short of breath and weak even though my lungs have enough oxygen. I tried to go to Mayo, but they rejected me. I went to Cleverland Clinic and the Dr. gave me Botox shots on both sides of my face on June 1st 2016. Two weeks after the shot I developed a crooked smile on my left mouth. A week later the Botox paralyzed my throat muscles and I couldn't swallow esp. solid food. I couldn't get any help from Cleverland nor my PCP from BatonRouge Clinic. I treated myself with heat , massage and exercise and after a week I was able to swallow solid food. The Cleverland Clinic is not good in my opinion, and the amount they charged for 1 treatment of Botox was highway robbery. 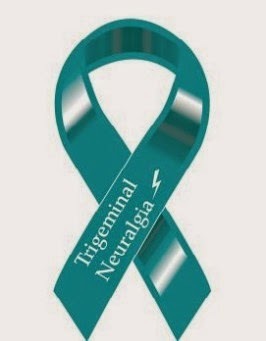 There is no cure for Trigeminal Neuralgia. I have been trying to meditate to calm the pain. It's hard when the pain is at 9-10 level. It works if it is at 6-7 level. Hi Sarah, First: Thanks for your wonderfully well-presented and warmly caring blog. It's pretty clear that there's a very special person behind it. I'm on what feels like the start of a TN voyage, waiting to see a neuro to get a diagnosis. I've just set up a (fledgling!) blog myself..(the URL is in my signature of my comment) . to chart the trip, as therapy .. and as a way of keeping in touch with others. The last is starting to prove the greatest comfort in this weird space I'm in. I hope it's okay if I list your blog in my links. (?) I think anyone with TN or caring for someone with TN should read the experiences of others, especially when shared with the compassion of your blog. It is pretty clear that with the relative rarity of this condition - or the rarity of it being identified - that the more vocal we are the more we may help. Take care and I wish you pain-free days. I've just had my ENT tell me this nerve disorder is what's happening to me not sinus for 2 yrs. See Neuro in 2 weeks. I'd thought I was being a huge baby with sinus infections. Ha nope add on RA & Fibro. I'm going to need groups like this to survive yet more unbearable pain. Thank you for your stories. I was diagnosed 3 years s go. Woke up one morning and thought I was having a stroke. The intense pain was unbearable. I am know in my 4th year and no better to say. My medication works most of the time until I have to go stronger. I am 46, wife, a mother of two and still working a full time job. Some days are good, some days are better, some days are bad and some are worst.